In worksheet on bar graph we will practice different questions on representing the bar graph from the following data given in the questions. 1. The number of bed-sheets manufactured by a factory during five consecutive weeks is given below. 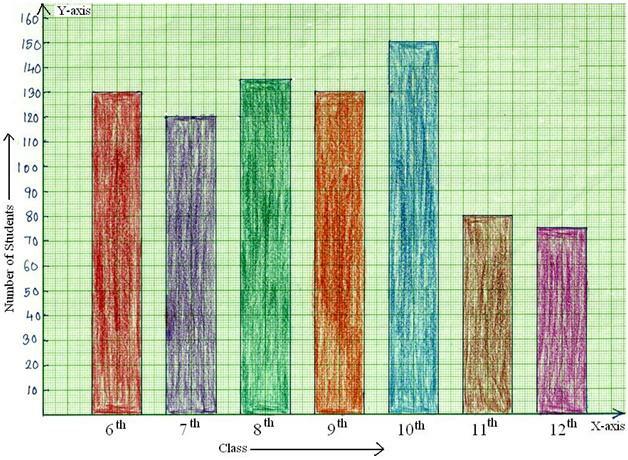 Draw the bar graph representing the above data. 2. The number of students in 7 different classes is given below. 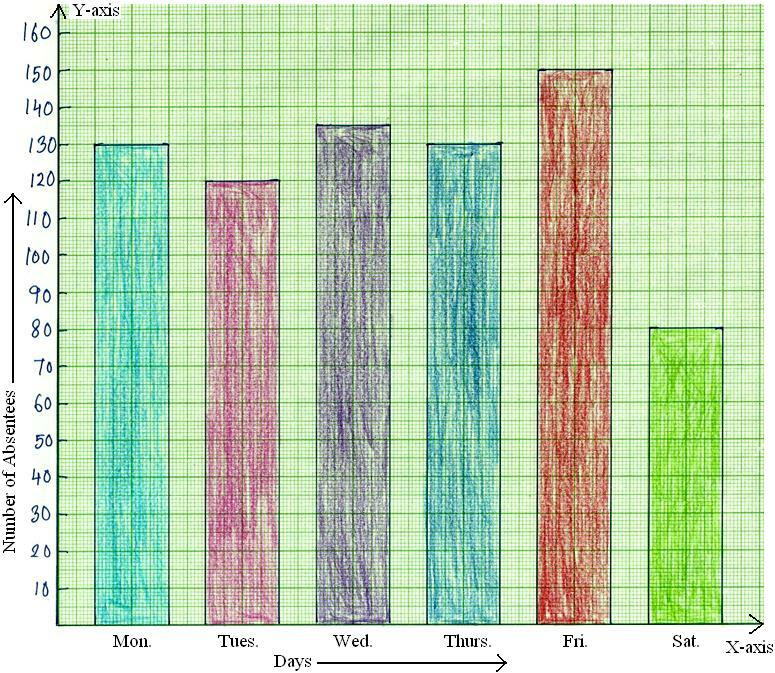 Represent this data on the bar graph. (a) On which day the maximum and minimum students were absent? (b) How many students were absent on Wednesday and Friday? (c) On which days the same number of students was absent? 4. 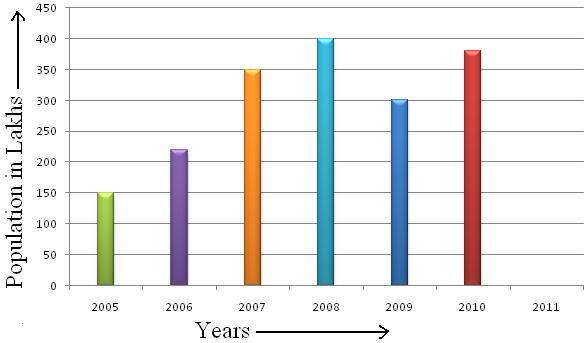 The number of trees planted by Eco-club of a school in different years is given below. Draw the bar graph to represent the data. 5. The population of a particular state in different years is given below. 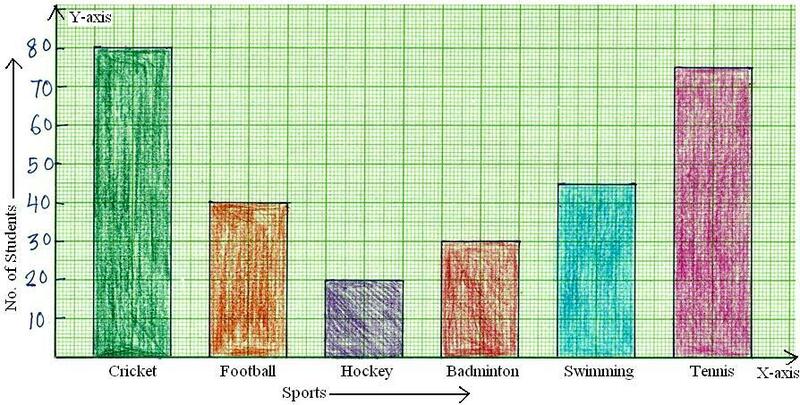 Represent the above data using the bar graph. 6. The following table shows the favorite sports of 300 students of a school. Represent the above data using column graph. 7. The following data represents the sale of refrigerator sets in a showroom in first 6 months of the year. Draw the bar graph for the data given and find out the months in which the sale was minimum and maximum. 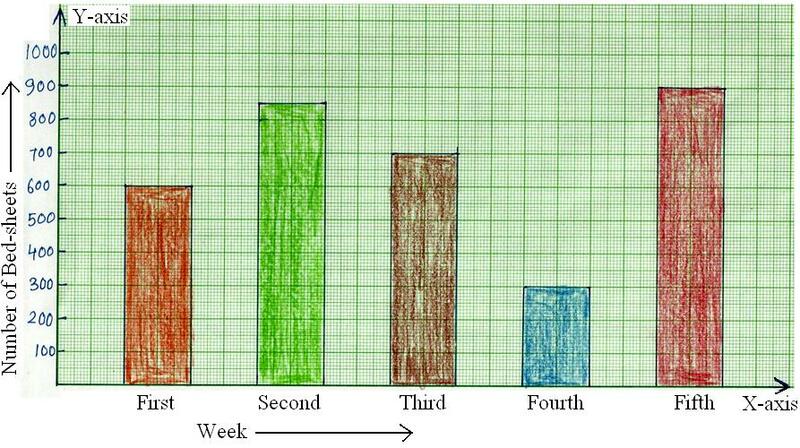 Represent this information on a bar graph. 9. The average monthly attendance of a class is given. Draw the bar graph of the data given. In which month the average attendance is minimum or maximum? In which month the average attendance was less than 40? Find the difference between the maximum and minimum average attendance? 10. The following data shows the birth rate per thousand of different countries during a certain year. Draw a bar graph. 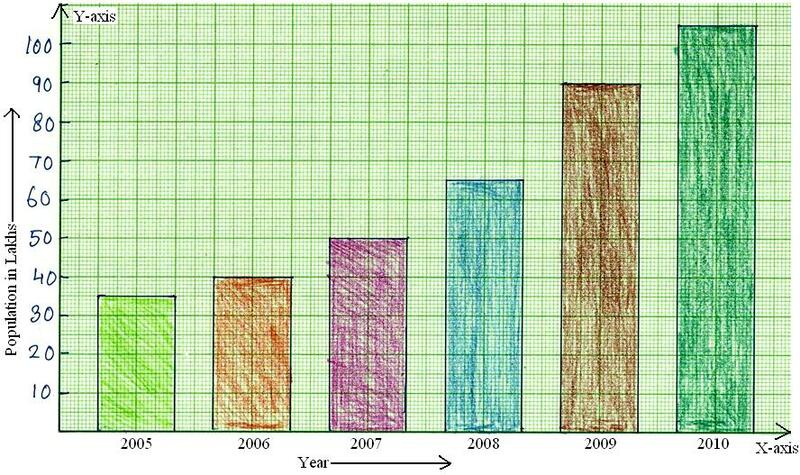 Read the questions carefully given in the worksheet on bar graph and represent the data in the column graph. The graph are shownn below to check the exact the bar graph.